*GREAT PRICE! 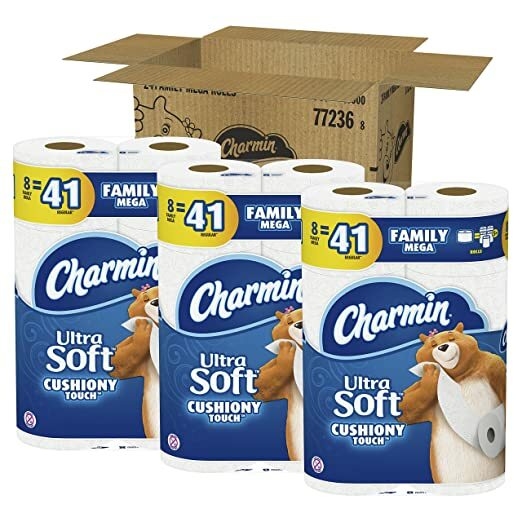 * Amazon – Charmin Ultra Soft Cushiony Touch Toilet Paper, 24 Family Mega Rolls (123 Regular Rolls) as low as $23.77 + FREE shipping! S&S Deal, Just $.19 per Regular Roll! 24 Family Rolls = 123 regular rolls, or just $.19 per regular roll!